Robert devised a practical system, with a prompt quote and installed it in an efficient and friendly manner. He called to check and monitor the system and use after installation. I would recommend Maxtec to anyone. 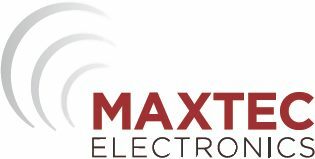 We have had first class service from Maxtec Electronics. When planning on the type and positioning of the components of our alarm installation Maxtec listened to what our requirements were and suggested ideas and solutions to overcome any problems that may be encountered. Since installation the back up and advice has been excellent and prompt.